Book News: George R.R. Martin Was Told Sci-Fi Would Rot His Brain : The Two-Way Also: a history of novels written entirely in dialogue; the subversiveness of Harriet the Spy. Novelist George R.R. Martin at Comic-Con Weekend on July 25 in San Diego. 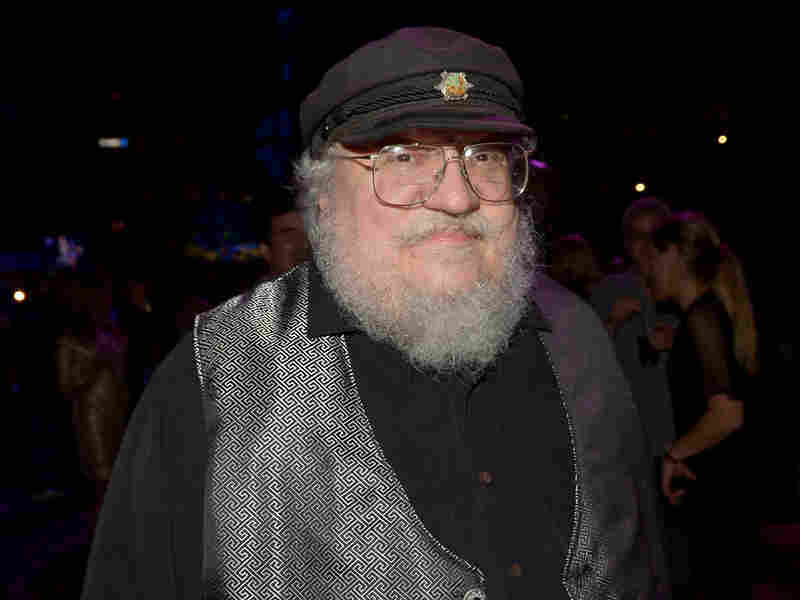 Game of Thrones author George R.R. Martin told an audience at the Edinburgh International Literary Festival that his teachers said sci-fi would rot his mind. "When I was 12 or 13, I had teachers take away science fiction books by [Robert A.] Heinlein and [Isaac] Asimov and say: 'You're a smart kid, you get good grades. Why are you reading this trash? They rot your mind. You should be reading Silas Marner,'" Martin said, according to the Guardian, a co-sponsor of the festival. He added, "It is an artificial distinction anyway – literary fiction in its present form is a genre itself." Alex Kalamaroff gives a history of novels written entirely in dialogue in The Rumpus. Jess Row, whose unforgettable novel Your Face in Mine describes a white man who undergoes "racial reassignment surgery" to become black, is profiled in The New York Times. "I wanted to imagine the most radical kind of integration," Row told the paper, "the kind you can't undo." "Harriet first came to me as the plucky heroine of a fun story, but she endures as an icon of subversion." Anna Fitzpatrick writes about Harriet the Spy for Hazlitt.